My favorite part is near the end: The thinking that told us that winning was based on making others lose is obsolete, and the sooner we figure that out the sooner we’ll align ourselves with the best talent, vision, passion, and insight, regardless of what kind of package they ship in. 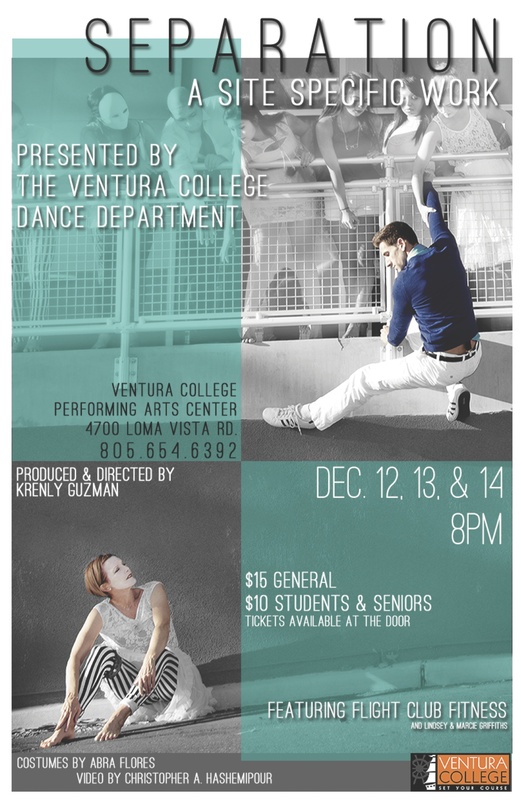 This should be a great show by The Ventura College Dance Department –and for my students, a last chance to earn some extra credit by attending and writng about it! Presented by the Ventura College Dance Department, SEPARATION is this season’s site specific dance concert produced and directed by Ventura College dance instructor Krenly Guzman, featuring Flight Club Fitness and Lindsey and Marcie Griffiths, with costumes by Abra Flores and video by Christopher A. Hashemipour. 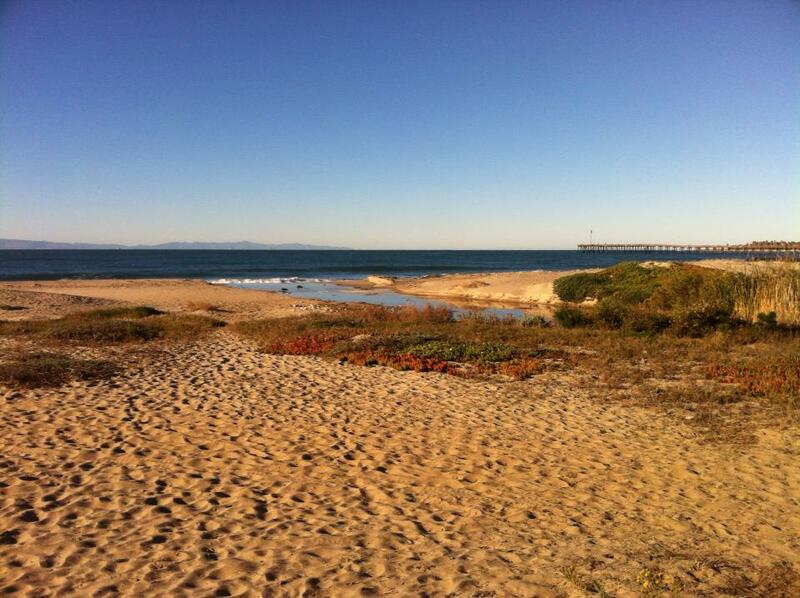 Paul Willis Features Thursday in Ventura–see you there! Hope to see you 12/12/13! Join Art Predator and students Thursday December 12 at 7:30pm for a featured reading by Westmont Professor Paul Willis at Foster Library (in the Topping Room)651 E. Main Street, Ventura CA 93001. Paul is also a former poet laureate of Santa Barbara, host of the annual William Stafford reading, and an avid outdoorsperson. Phil Taggart hosts and an open mic follows (one poem, no epics!) where my students and I will read from our newly published anthologies. It’s free, but we pass the hat. Pictured is a broadside I did for the publication of part of my recent commission for the City of Pasadena on water and power. The publication has the whole thing; I read the first part last week (most of what you see here plus another stanza from later in the poem); I’ll read the last third on Thursday. Details on Thursday’s reading by my students and I at EP Foster Library in Ventura. It’s almost winter! That means around here you can see the Channel Islands on sunny days, my desk is covered with student research papers, and at Ventura College, my students and I are working on our class publications where we create broadsides of a written work and make enough copies for everyone. 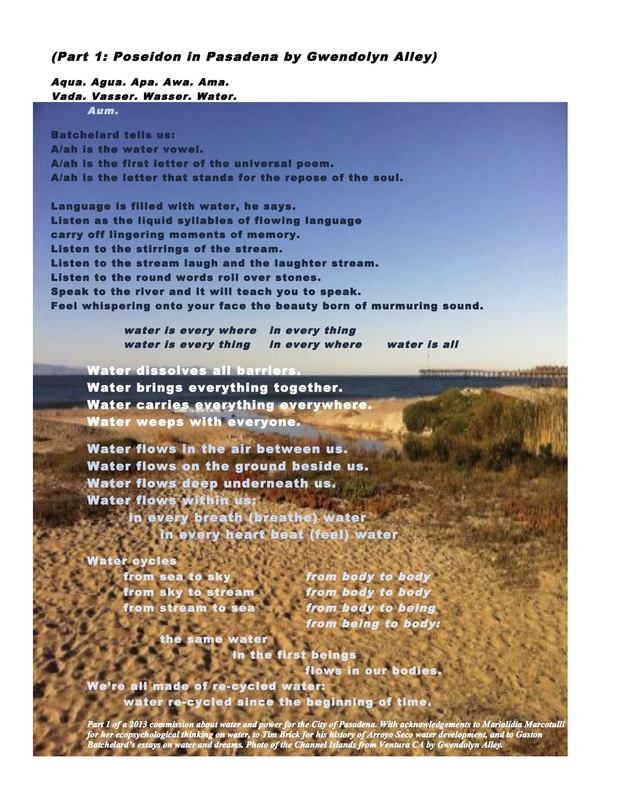 I’m going to be submitting my water poem that I wrote as a commission for the City of Pasadena (read the beginning of it here). Yesterday Seth Godin wrote about speaking in public. Godin says that people are afraid to speak in public because they believe they are being actively judged and that the subject of the talk or presentation that they are giving is them.